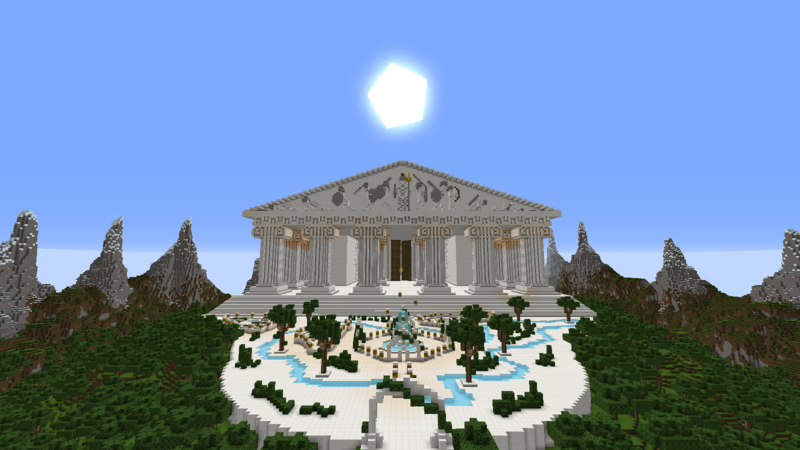 Take a look at the beautiful temple of Athena. Are you sure that he could not do any better? Because you put could not instead of can not. Imagine if he can. What will you do then? Just one note on the description, it didn't take you "literally" forever or you'd still be making it. I realize it's easy to sat thing like that and I'm sure you spent a lot of work on it. In this case "forever" it a hyperbole and so cannot have "literally" attached to it. Sorry for nitpicking but it is true. Great map! +2 Somebody... Whoever said they live in Athens what is it like there? I really want to go there. -28 Computernaut Just one note on the description, it didn't take you "literally" forever or you'd still be making it. I realize it's easy to sat thing like that and I'm sure you spent a lot of work on it. In this case "forever" it a hyperbole and so cannot have "literally" attached to it. +4 TiziXXX Awesome map, looks so beautiful! +5 Quizfox Hey there! I decided to make a video of this map. And not just any video, A 360 degree view video of the map. I'm leaving a link here in case you want to check it out. Hope you enjoy! +8 CreeperHugger This map is amazing. I can't claim to be an expert on Greek mythology, but I certainly am an enthusiast. This map makes me excited just to see the picture, it has amazing detail! +11 AlexDarkMoon This is kinda amusing for me coz I'm Greek and I live in Athens. By this I mean both the comments and the map. How did you get the idea for a temple of Athena? I'd like to know. I think it's based out of mythology, the temple of Athens, where Poseidon lost the contest in Athens to become the patron god, so Athena became the goddess, and they built her a temple. +1 Skydified Looks awesome! I downloaded the map and pretty much explored it, then I started an Roleplay with my friends about the old mythical Greece, thank you so much! It was a wonderful experience! 9/10.